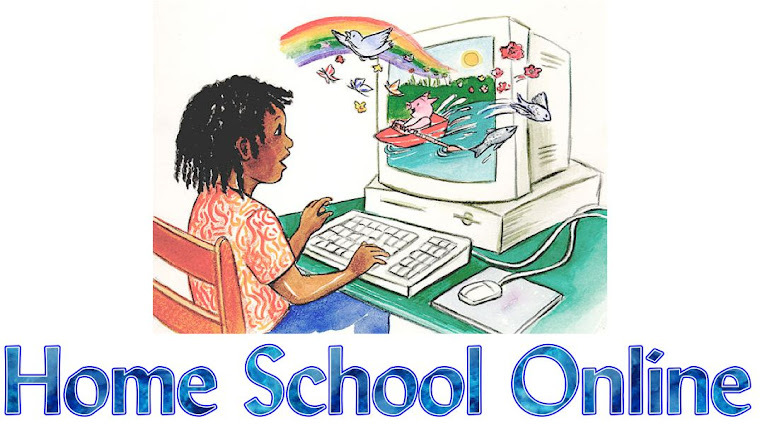 Home School Online: Mandatory Preschool? There's just something a little weird about a first grader being in in his fifth year of school. There used to be a reason it was called "first grade". Now, our first grader may have already attended "nursery school" (age two), "preschool" (age three), "pre-kindergarten" (age four), and "kindergarten" (age five). This is all well and good if that's the choice you've made for your particular child, but states have been considering MANDATORY preschool at an ever-increasing rate. Parents are more receptive to the idea than you might imagine. Dual-income families tend to welcome mandatory preschool, considering it a form of free daycare. I've been amused to notice preschool classrooms decorated with braided rugs, rocking chairs, plants, and other home-y touches. Young children thrive in a home environment, yet we humans have a strange habit of eliminating something perfectly natural and then trying to artificially compensate for it. More puzzling to me is some parents' assumption that the educational value of an activity is increased if it takes place in a classroom. I have observed classroom preschoolers doing many of the things they might do at home: playing with clay, building with blocks, and trying on dress-up clothing. And, at home, they don't have to wait in line to do it. Regardless of your opinion on the value of institutionalized preschool, you can probably agree that it isn't right for EVERY child. My own focus is on parental choice when it comes to your children's education. I shudder to think that a two-year-old could someday be considered truant. Do you know the age of compulsory education in your area? These state homeschool resources can help answer many state-specific questions. Very well said! Isn't it ironic that institutional preschools try to make themselve more "home-like", and so many homepreschooling moms work so hard to make their homes into institutions!